I am thrilled to introduce you to the latest in my Artist Spotlight Series. This prolific southern artist is certainly a rising star in the booming art scene of Charleston. I studied art at the University of South Carolina. My concentration was in Graphic Design. I remember taking some painting classes and not enjoying them very much. I picked up a paint brush about 3 years ago and just started playing around. It’s funny how things change in different times in your life. Color, pattern and other artist. I might see a room on pinterest I like and want to paint something that fits within the space. If I had to choose it would have to be First because it was the First larger scale abstract I did. It is currently hanging in my bedroom and would be a hard one to part with. Charleston is a great place to live. There are so many great artist and creative people here it just makes you want to work harder and create more. Its a good mix because we have a great city and beaches. You can walk around downtown one day or go and relax at the beach the next. In the winter I love a good bourbon and ginger. Summer time a vodka, grapefruit with a little salt. I paint a lot on weekends so its hard because there is always something fun going on in Charleston. I love painting and could do it all day but you have to give yourself sometime away to reflect. Thailand. It such a colorful place I would love to go to one day. I love doing commissions. Someone is trusting me to create a piece for them that will forever be in there home is a dream come true. Some pretty flowers or a bottle of prosecco. Love Naomi Watts and Cate Blanchett. They make it look so easy. 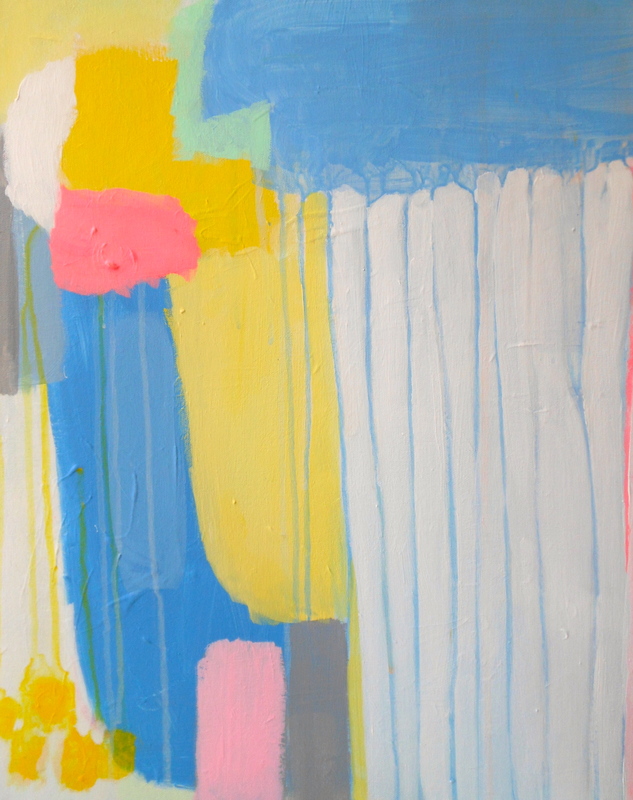 Just recently saw some work by Page Jones Davis and love her abstracts. My grandmother took one of my grandfathers tie pins and had a necklace made out of it. It is a beautiful diamond horseshoe pendent. Just started The Cuckoo’s Calling. So far so good! Here are just a few of my favorites from Cindy…. See much more on Tumblr, Instagram, and of course Cindy’s website.